The Memory shirt is a longer length, perfect for covering bottoms! 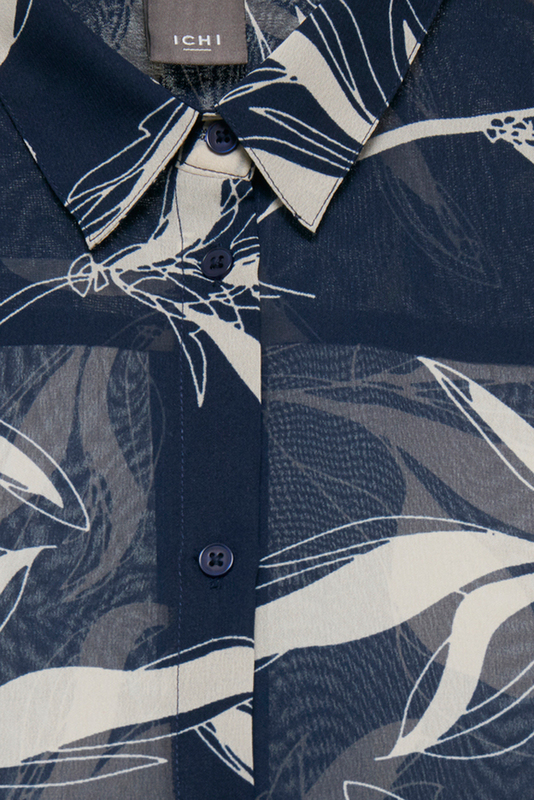 The gorgeous navy and cream swirl print is ideal for teaming with jeans or trousers. The longer length makes it perfect for those who feel self conscious and would prefer the longer length. Really flattering shape on. 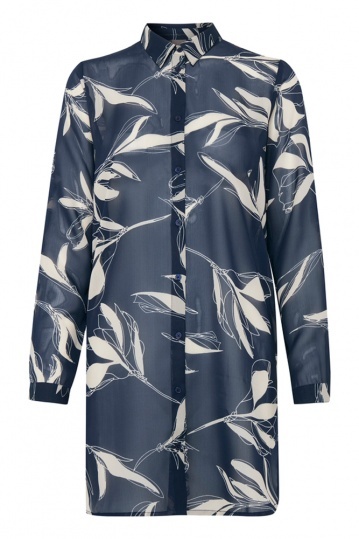 We would style this shirt with jeans or trousers. 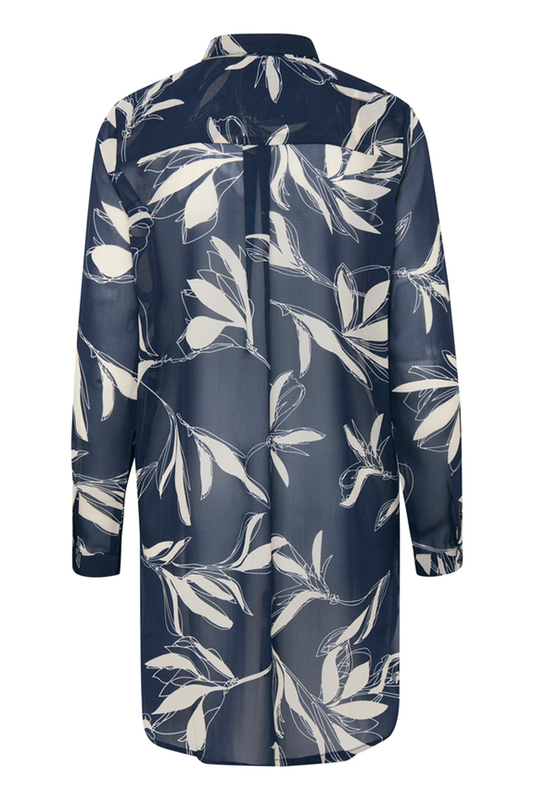 Its also ideal to wear open with a vest underneath as a shirt jacket style.